One of the things I noticed this week is someone on the mainstream media saying women’s right support has dropped. Personally, I do not believe this statement, if anything, there is plenty of support out there, political and with the population. I have daughters, and the worse nightmare situation for me would be to see them under the thumb of an oppressive husband. (I would not let it go on far, but that is me). I want people to be free to express their thoughts, free and safe to walk the streets, free to choose the path that makes them the most comfortable; and yes even if they wish to be housemothers. It is not for me or any organization to dictate to anyone how they should live, if we do, then all that they could be would be lost, the gift they have would be gone, and if anything this world needs gifted people. Shelters, welfare, housing are social programs that are important in our society, give people a safe place to go if abused, help financially, and give them a home to feel safe in…That is not the problem, the problem now is those in charge of said programs, they use it for political means, instead of the means to offer a service. They have one policy, men are genetically born bad, and all women are victims, it’s all we hear from them, this is what I realized I was up against, the reason why I fought back is because this is wrong, I am not genetically born bad, and the women in my family do not consider themselves permanent victims. Nor do the women I have as friends…Some would have a bad reaction if anyone told them they are victims…They can take care of themselves better than any man I know. The policy they now have is why support for their organizations has dropped, not the support for the safety of women but for those who consider themselves spokesperson for them. First, why would a man, support such an organization, if he is pointed out to be born violent, or why should women support these organizations if they are told they are permanent victims. These are negatives, blame half and pity the other. Who is left? When I told them they were doing something wrong, the attacks on my character where because of the man issue, I knew this from the beginning, but to me it was not, it was a parental issue. I went up against people who treated me as if I was a bad person, without knowing who I am. How many others have they done this to? They have alienated themselves by their actions; and the very people they are supposed to help. They have also lost the support of those around me who know who I am. 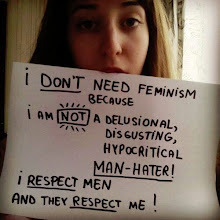 They loose the support of people they attack without reason, just because it is a man? What about those in this persons family, those around him who know him, some are women. “Why would they do this to you, they don’t know you, I did not know they were like that,” I have heard this many times, and this is not just me, the others they have attacked without looking to see what kind of person they are, have family and friends too, and they also have doubts. NO, the right to be equal has not lost support, if anything it is stronger now than ever, the one who lost support are those who believe they speak for others, those in charge of the feminist movement, and what they use as a political ploy, the permanent victim syndrome. They are the cause of the doubt people now have about these organizations. The problem they cannot seem to understand is that not everyone considers themselves a permanent victim, and to some, the thought is insulting. I have Mohawk women friends, tell them they are permanent victims, and see the reaction. I do believe we have reached an impasse in our society where the feminist movement, with its control of shelters, welfare, housing, victims help organisations, even schools, are the problem for the equal rights movement, with their “we are all victims” policy. The majority of women do “not” consider themselves victims anymore. I searched online; I was surprised to see the majority of anti-feminists are….women. The best one was from a few young ladies, defending the men in their families; “They are making it look like it’s a crime to be a man” was their message. Obviously, these young ladies did not consider themselves “permanent victims”. Again, by their actions, shelters are losing support because the action of its staff, not because we want to go back to the old days as they would want us to believe, women no longer support the idea that their fathers, husbands, sons, brothers, uncles, friends are all bad because they are men…Shelters and feminism will either have to admit this policy is not a good thing for them and change or go to the way of the dinosaurs, and stop clinging to this out of date scheme. Be at peace and may the Creator look after you and your loved ones.